After a long hiatus, I have been working on Best Friends Forever again for the past few days. It sure feels easy, after all the fiddly little bits on Sweet Hearts, and the heavy stitching on L'Herbier! Mainly, though, I was in the mood for the bright spring colours again. Looking good. Don't feel guilty about putting projects away and then taking them out again. I think it increases the pleasure. When you get tired of something, the fun is gone - at least temporarily. They do look spring-y! There's something about those beautiful bright spring colours that somehow make a grey day feel cheerier. Between this project and your Caribbean blue quilt project from your last post, you should be smiling your way into spring! BTW, beautiful stitchery happening! These are very pleasant, aren't they? I especially like the deceptively simple design of the 'friendship' one - very elegant shapes and colours. The green-lemon transition is most effective. Thanks very much, Jillian. I spent a lot of time waffling on the colours for the house, so I am glad to have it done! Thanks, Margaret! This is a big project, so it seems easier for me to take it in manageable chunks. But I am trying to reduce the number of current projects. Don't think you have to pick up quilters' bad habits! 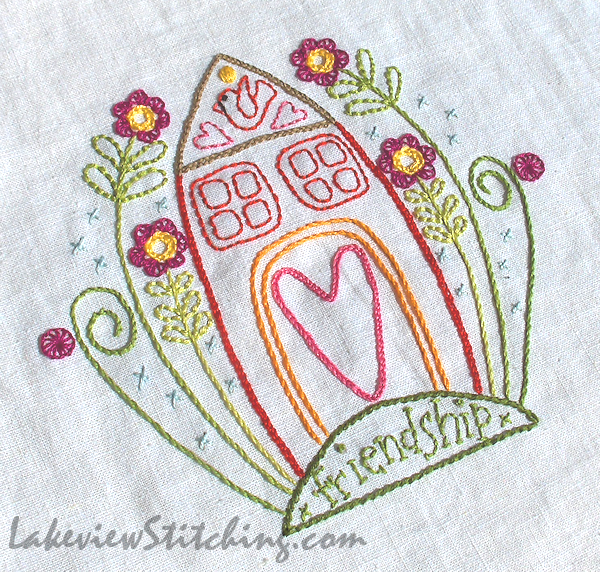 One of the quilters in my sidebar, Tamarack Shack, never has more than one project at a time. Lovely stitching! I have block 1 waiting for me to start - it's calling out to me though. I just love the designs for the whole quilt, they're so bright and cheerful. 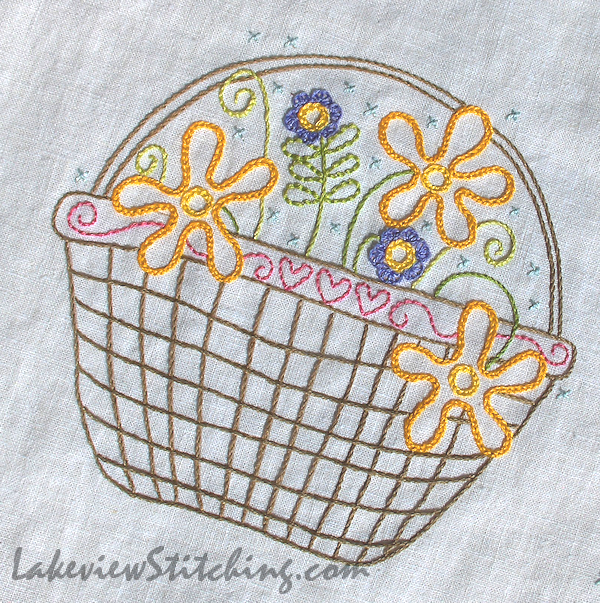 These designs are a lot of fun to stitch, so I don't think you will resist for long!